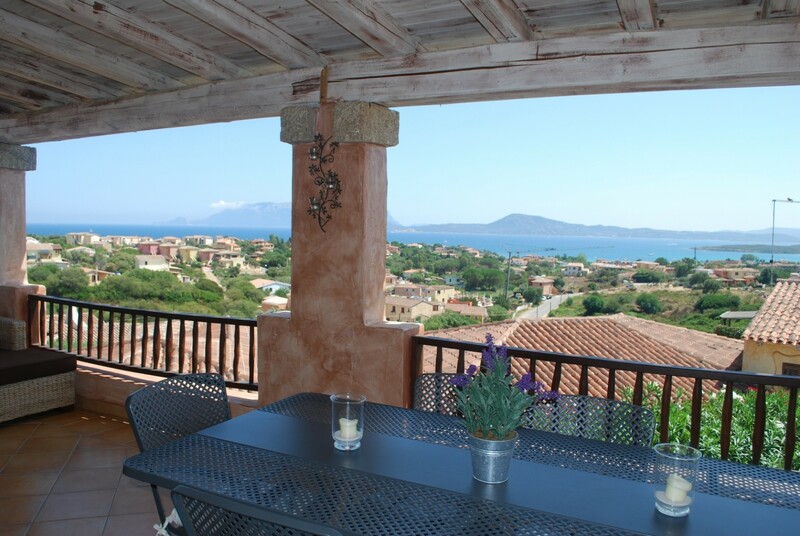 Our apartment and villas are attractively built in traditional Sardinian style, and are set on a hill in a quiet location within pretty Mediterranean style gardens, and surrounded by Mediterranean marquis. Each property comes with a high standard of furnishing. The properties have traditional high limed oak beamed ceilings, and large furnished covered terraces with wonderful sea views. Every property in the residence is unique, no two are alike. 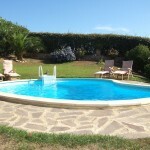 All three properties benefit from unlimited wifi, car parking, and optional air conditioning/heating. Although the two villas benefit from their own private pools, all three properties have access to a communal swimming pool, which is reserved for residents only. 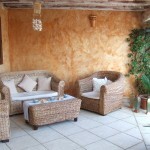 This is surrounded by an attractive sun terrace, and has lovely views of the bay. The pool is open from early June to the early September, and benefits from a life guard. We try to make the whole process from initial enquiry, through booking and to your arrival as easy and informative as possible. We have also tried to think of all the things you would need to make your luggage lighter and your holiday comfortable, so in all our properties you will find a selection of English books, hairdryers and straighteners, a beach umberella, beach toys for the children etc. Then when you arrive you will find a comprehensive information folder full of hints and tips for the perfect holiday. There will also be a welcome pack of wine, water, milk, tea and coffee. For added peace of mind our representatives who look after our properties speak both Italian and English. Please note that our properties are non smoking and do not allow pets.